Stay in control of your decisions and out of court. Collaboration is a process where parties, their lawyers and other professionals agree to work together to find a workable solution. Parties involved in a collaboration can have access to range of experts who can assist you in the process. For example, in disputes involving financial matters financial advisers and accountants can provide information or advice to help generate flexible options to accommodate long-term needs. In disputes involving children, therapists and child counsellors can help parties manage the process and make decisions that are best suited to the needs of their children. Collaboration is different from mediation in that there is no mediator who facilitates the negotiations. The other important distinction is that in a collaborative process, you and your former partner agree not to go to Court and not threaten to use the Court process as a means of coercing the other to agree. 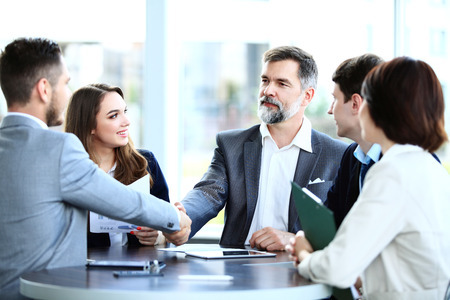 This assists you to conduct negotiations in good faith however, if the collaborative process breaks down and you need to go to Court, new lawyers would need to be appointed. You can also find us as well as further information on the Collaborative Professionals WA website. What happens in a collaborative Family Law matter? You and former partner will each retain your own family lawyer to advise you throughout the process. The process starts with a number of face to face meetings with your former partner and their lawyer. Al parties involved will be required to sign a Participation Agreement setting out the ground rules for the collaborative process. The majority of the negotiations will take place in the face to face meetings. Correspondence between lawyers is kept to a minimum. As you are present throughout the meetings, you and your former partner are able to retain control of the process, the scope for misunderstandings is reduced and you will be encouraged to communicate in a future focused way. At any time during the process you or your former partners can call on the skills of specialist such as accountants, valuers, counsellors for advice. Once a settlement is reached, the lawyers will draw up a settlement agreement, which will usually be submitted to the court for approval and made into a consent order. What happens if one of the participants does not give a full financial disclosure? This can happen, if one party withholds or misrepresents information intentionally, or acts in bad faith, under the terms of the Participation Agreement, his or her lawyer must withdraw from acting any further. You are also able to withdraw from the process if your lawyer considers that your partner is not keeping to the terms of the Agreement. If new information comes to light after a settlement has been reached, you would need to seek advice as to how to overturn the agreement and seek new orders. Our lawyers charge their time on an hourly basis and will provide an estimate of costs at your initial meeting. If you and your former partner provide all the information within the time frame and cooperate, the collaborative practice will almost certainly be quicker and cheaper than a dispute resolved by a court hearing. There are a range of options for resolving disputes including Mediation, Negotiation and Collaborative Law. Anecdotal evidence suggests that of those cases that proceed to court 95% settle without the need for a final hearing.